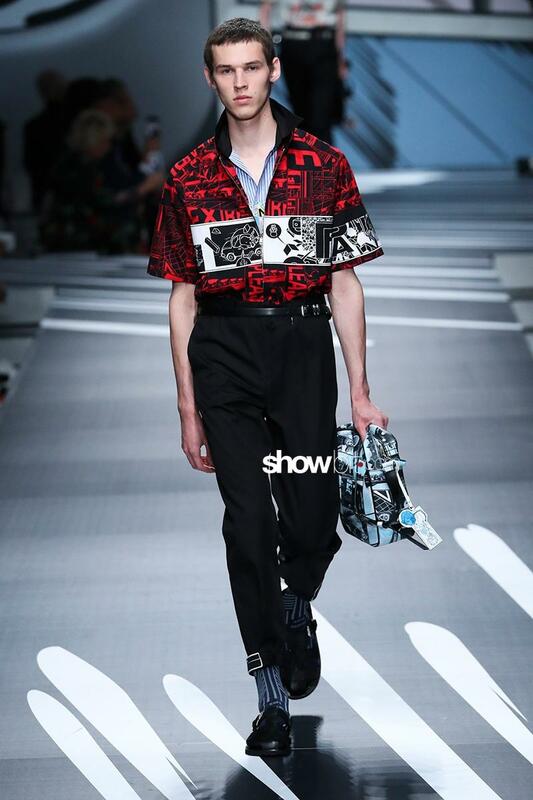 Going outside the main road is something Prada is familiar with so, when we entered the big space hosting the Spring Summer 2018 menswear fashion show and we saw comics strips on the wall, we immediately knew that Ms. Miuccia was about to make it again. Then we jumped into a b/w story told by the 44 looks on the runway, a story of humans: considering comics it is easy to think of superheroes, exceptional abilities and fantastic worlds. 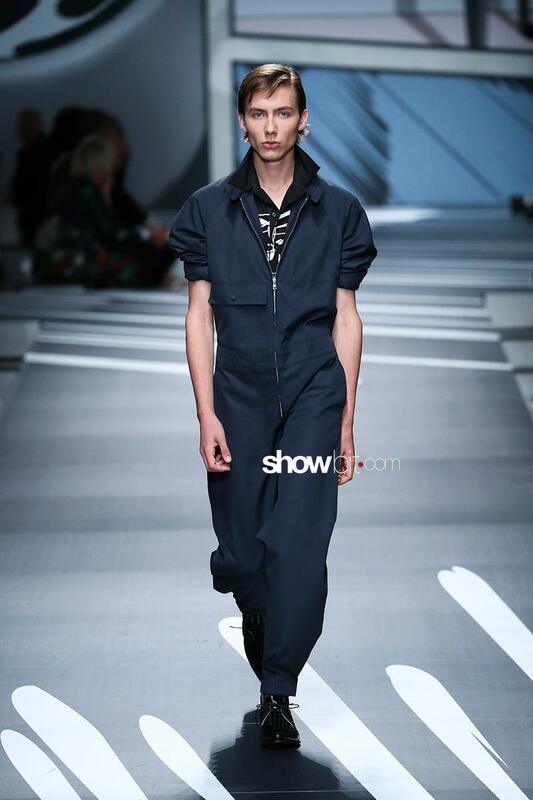 Instead Miuccia Prada wanted to focus the attention on the human side of it. 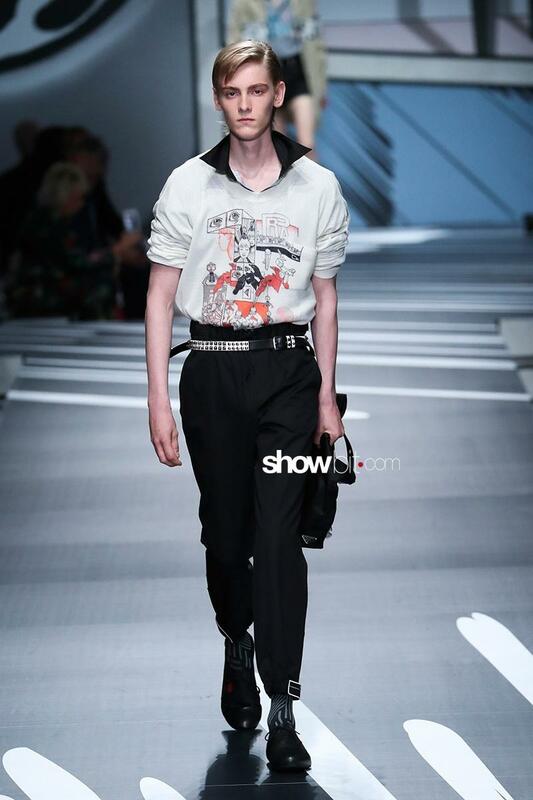 The artists Ollie Schrauwen and James Jean collaborated with the brand to create the outstanding drawings featured on the clothes.